Instagram, the hot iPhone photo sharing service, is launching its real-time API today so developers can start harvesting your Instagram photos into their apps.This way, apps like Foodspotting and sites like TheFancy.com will be able to pull in your Instagram activity in real-time, so you don’t have to manually post the same photo to a bunch of places. To show off the service, Instagram made a cool real-time-updating demo website, which pulls in geotagged photos from various cities. Watch for a few moments as it slots in the newest photos in real-time. (And feel free to test it yourself by uploading a photo from one of those cities.) Instagram has also open-sourced the code of the demo so you can try it yourself. Instagram says 2,000 developers have already signed up for its API during the private beta period. More at the Instagram blog. 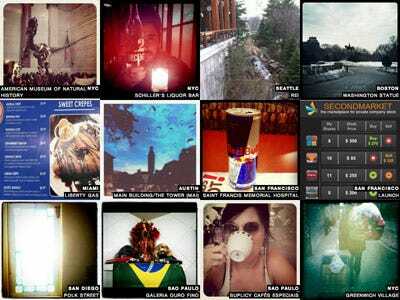 The photo sharing service, which launched late last year, has more than 2 million users.